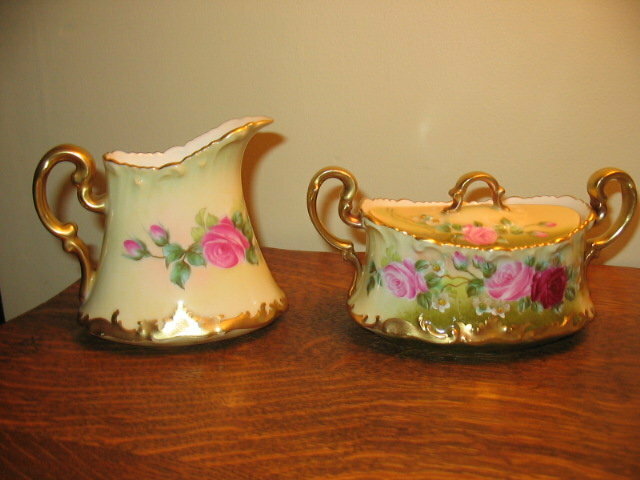 HERE IS AN UNBELIEVABLY BEAUTIFUL HAND PAINTED ARTIST SIGNED CREAM AND SUGAR SET BY T & V LIMOGES STUDIO ARTIST LEROY. THE PINK AND DEEP SCARLET COLORED ROSES ARE SUPERBLY PAINTED AGAINST A CREAMY LIGHT GREEN BACKGROUND AND LAVISH GOLD GILDING ALL INTACT. NO CHIPS CRACKS HAIRLINES OR REPAIRS. 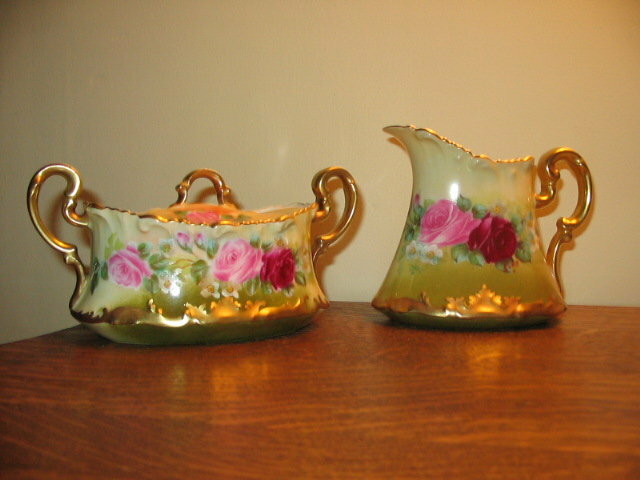 TRESSEMANN AND VOGT MARK 7 IN GREEN UNDERGLAZE AND MARK 16 IN PURPLE OVERGLAZE WITH HAND PAINTED BANNER. 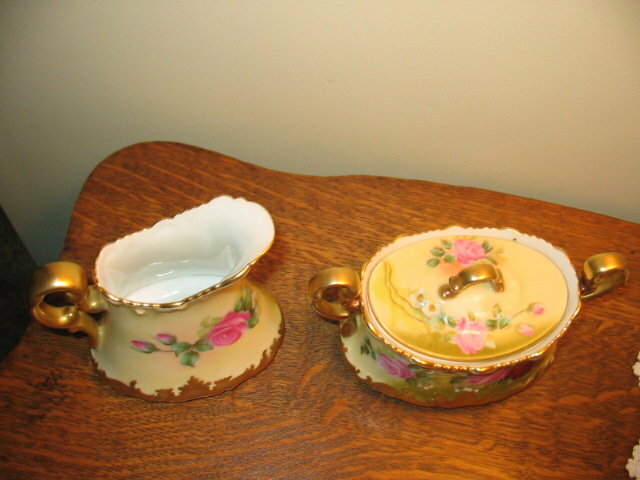 Items Similar To "LIMOGES FAMOUS ARTIST PAINTED CREAM AND SUGAR"